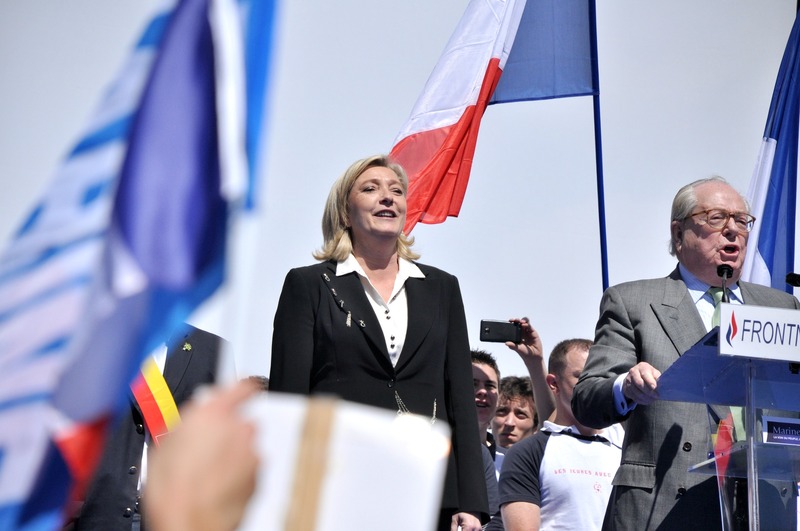 A recent study published by the Foundation for Political Innovation has dealt a blow to the legitimacy of France’s National Front, establishing a strong relationship between the NF and anti-Semitism in France. EURACTIV France reports. The study of anti-Semitism in French public opinion, published by the Foundation for Political Innovation (Fondapol) threatens to undermine attempts by the National Front to enter the French political mainstream. Anti-Semitism has little foothold in French society as a whole, but the study found a strong undercurrent of anti-Semitic feeling among the NF electorate. “We can say that French society as a whole is relatively unaffected by anti-Semitic prejudice, with four major areas of exception: the National Front electorate, French Muslims, supporters of the Left Front and videos on the sites YouTube and Dailymotion, where anti-Semitism is more visible than in other media,” the director of Fondapol, Dominique Reynié, explained. A sample of 1005 French citizens over the age of 16, and a further 575 people born into Muslim families, were surveyed for the study by the organisation IFOP. The study was based on the observation that anti-Semitism accounts for over half the acts of racially motivated violence in France, while people of Jewish descent make up only around 1% of the French population. The authors arrived at the opposite conclusion to a 2004 study carried out by Jean-Christophe Rufin, which identified an inverse correlation between the extreme right and anti-Semitic feeling. While 84% of those questioned thought that a French Jew was just as French as any other French citizen, the figure is 61% among NF supporters, and 91% among French Muslims. 53% of National Front voters would not be happy to vote for a Jewish President, compared to 21% of the overall population, and 22% would actively avoid having Jewish neighbours, compared to 6% of all French citizens. Dominique Reynié said that “the NF is the only section of French society to reject all forms of otherness, not only the Jews, to such an extent: even the Corsicans are not exempt”. He added that the conclusions of the study were completely “at odds with the mainstreaming of the NF”. He also identified a relationship between anti-Semitic feeling and the National Front’s anti-EU politics. While 32% of all those questioned said they had confidence in the EU Institutions, the figure among those who claimed to believe in the existence of a global Zionist conspiracy was only 20%. The National Front had its best ever electoral performance in the European elections of May 2014, wining almost a quarter of the total votes cast. The National Front is now France's largest delegation in the European Parliament, with 24 MEPs out of a total of 74. EURACTIV Greece: ? ?????????????? ???? ?????? ????? ??? ????? ??? ????? News flash: FN is racist. In other news, water is wet. Any one that criticizes Israel is automatically labeled anti-Semitic.